Aviva’s UK life division saw new business profits surge 15 per cent in the first quarter despite sales dropping year-on-year. The insurer’s first quarter interim management statement, published this morning, reveals the value of new business written in its UK life arm rose from £89m in Q1 last year to £103m in the first three months of 2015. The firm says lower profits from new annuity business were “more than offset” by improved performance in pensions and equity release. Sales measured on a present value of new business premiums basis were down 17 per cent year-on-year, however, from £2.93bn to £2.45bn. This was primarily driven by a 73 per cent slump in annuities sales, from £500m to just £136m. Protection sales also plummeted 10 per cent, from £297m to £268m, although equity release new business rose 76 per cent, from £117m to £206m. Pensions sales were flat at £1.32bn. Aviva group chief executive Mark Wilson says: “Aviva’s turnaround is on track and ahead of schedule. It’s been a busy quarter. We have completed the acquisition of Friends Life and at the same time delivered an improvement in our key metrics. 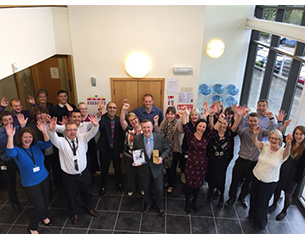 Health cash plan provider Health Shield has won two UK financial awards in the same year for the first time. The Crewe firm beat several brands in the health insurance sector to win Best Cash Plan at the Cover Excellence Awards and Best Cash Plan Provider at the Health Insurance Awards in October.